Marcello Fine-Art Print by Will Rafuse at ChefDecor.com. 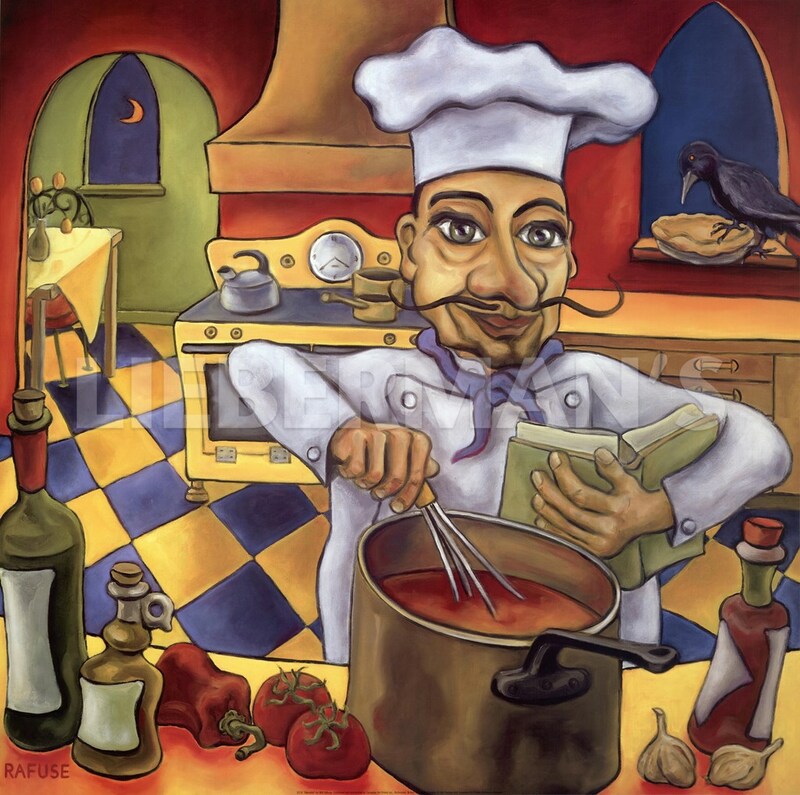 Marcello refers back to his recipe book while stirring a pot of sauce in a brightly colored kitchen. Nearby vegetables, and other spices sit, waiting to be added.